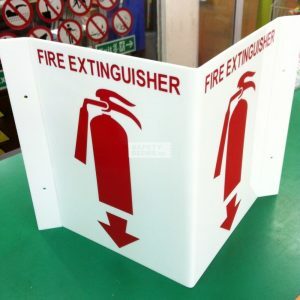 Acrylic 2 sided. 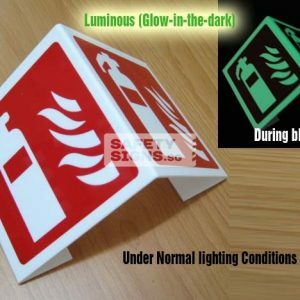 Suitable for indoor use. 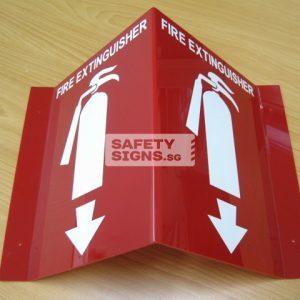 Installation via adhesive or via drilling. 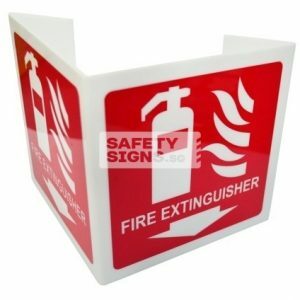 Size of sign face: 10in x 12in x 2 sides. 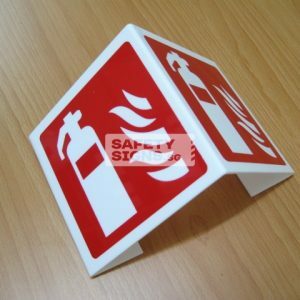 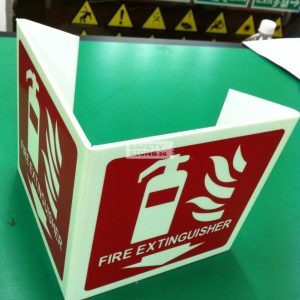 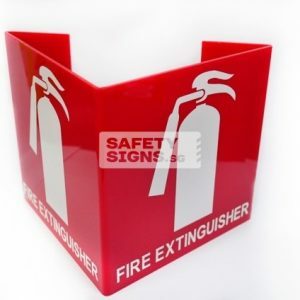 Fire Extinguisher Signs help locate the fire extinguishers when they are needed the most. 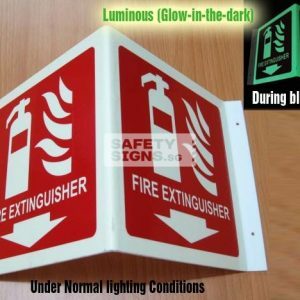 The most important resource during a fire outbreak is time. 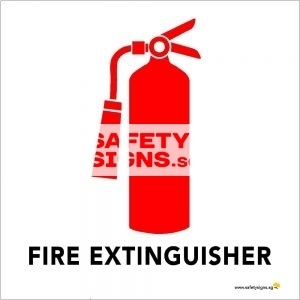 In a critical situation, time should not be wasted in searching for the right equipment. 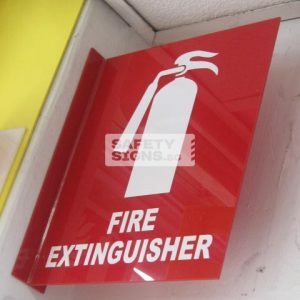 Thus a clear and visible fire extinguisher sign can make a huge difference.